Attorney General Kathleen G. Kane recently announced settlements with four local fireworks businesses that allegedly violated the Pennsylvania Unfair Trade Practices and Consumer Protection Laws by ignoring firework restriction requirements. Undercover purchases were made during investigations by the Attorney General's Bureau of Consumer Protection. 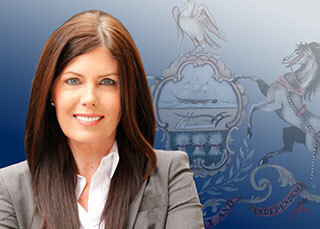 "These laws were designed to ensure the safety of consumers," Kane said. "Our actions today underscore my commitment to the consumers of Pennsylvania." Sky King Fireworks of Erie Inc., F&V Fireworks LLC, Fireworks by Tony Donnora Inc. and Pizza Paul's Fireworks LLC reached settlements following the undercover purchases. The companies paid a combined $14,000 in civil penalties and $8,000. A lawsuit is filed with A-Rocket Fireworks alleging the business issued fraudulent shooting permits while bypassing required municipal permits. According to Pennsylvania's Fireworks Law, consumers selling fireworks must be issued a valid permit by the local government. The permit must specify the date and location where the fireworks will be displayed. The law also states that a local fire chief or other authorized person designated by the local government must sign off on the competency of the operator of the fireworks and the safety of the intended sale location. Want to get notified whenever we write about Pennsylvania Office of the Attorney General ? Sign-up Next time we write about Pennsylvania Office of the Attorney General, we'll email you a link to the story. You may edit your settings or unsubscribe at any time.